As a Beastmaster Hunter your role in a group is to provide some serious DPS. However in addition to DPS there are several other abilities and benefits that you can bring to a group. Knowing what they are and how to properly use them is what will set you apart from all the other Hunters that just there as DPS, and make you a valuable member of any group or raid. Dire Beast(Tier 4 talent) – this talent allows you to summon a beast that attacks your target for 15 seconds and cooldown in 30 seconds, granting 5 focus each time it hits. While this talent doesn't do big damage to your foes, the focus that it generates allows you to use more abilities to cause more damage. A Murder of Crows (Tier 5 talent) - This talent grants you the ability to summon a group of crows to attack your target dealing damage for 30 seconds, one a 2 minute cooldown, 60 seconds if used against a target with 20% or less health. Glaive Toss (Tier 6 talent) - This talent grants an attack on a 15 second cooldown that deals damage to everything in your path and slows the target down by 30% for 3 seconds. 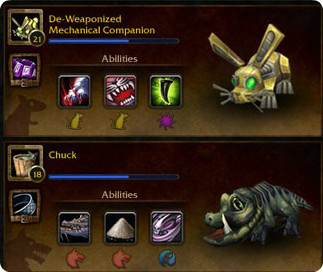 Pet Talents - As of the launch of Mists of Pandaria pets no longer have their own talent trees. Instead you simply pick from three different talent builds. For PVE DPS you should pick Ferocity as it provides the most DPS and the Rabid ability. Rapid boosts your pet attack speed by 70% for 20 seconds on a 2 minute cooldown. This talent boosts your DPS by allowing you to use your soul shard powered abilities more frequently. Glyph of Marked for Death (Major Glyph) – When you hit a target with arcane shot or kill command you automatically apply Hunter's Mark. This glyph provides both a DPS boost by applying your hunter's mark without having to take a global cooldown to apply it. While not a direct DPS increase it allows you to not worry about or take the time to apply your mark. 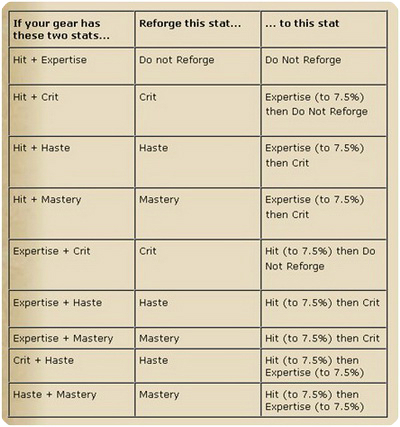 It is critical to understand your stat priority for any class. Going after the wrong stats can really hurt your characters ability to perform his or her role in a group well. 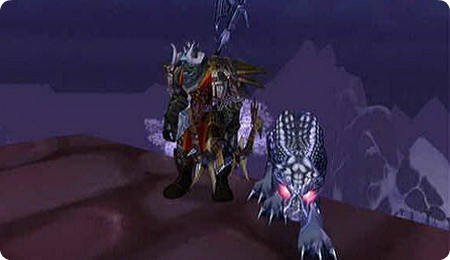 For a Beastmaster Hunter that means that you would have a lower overall DPS output. Hunters have numerous cooldowns at their disposal. Using them at all is the most important thing to remember, since many players do not use them. Using them properly is the next most important thing to remember. The key here is that in general you should NOT stack most Beastmaster Hunter cooldowns. This is counter to what is best with most other classes, where stacking them benefits the player. With a Beastmaster Hunter there are in fact a few stacked cooldowns that will lower your overall DPS! 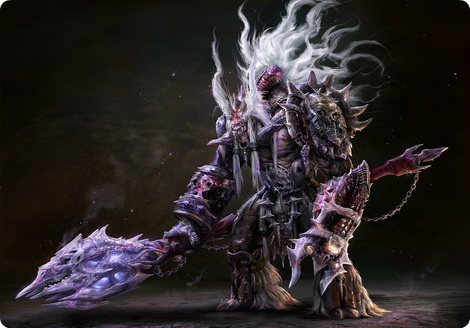 Bestial Wrath – Use on cooldown as much as possible for a large DPS increases. For the best increase team this up with Rapid as a pet ability. Rapid Fire -Use on cooldown as much as possible, however do not use it when you are under the effects of heroism. Stampede - Use when available for a DPS increase. Talent Based Cooldowns - Assuming you took the talents listed above then you will have Dire Beast and Murder of Crows to use for a DPS increase and for extra focus. Use them whenever available. Readiness - This cooldown resets all your other cooldowns. You should use it as soon as you have used your other cooldowns to reset all of them.